14 February at the Federation Council of the Russian Federation held a round table on the topic of agricultural aviation, which needs to be resolved inconsistencies in the law, hindering the work and the dynamic development of this industry. In the upper house of Parliament will gather legislators, representatives of state Executive bodies in charge of industry, scientific and expert community, airspace users and consumers of agrovila. It is expected that in the framework of the round table will lead to concrete steps to optimize the existing legislation in the interests of agricultural producers and airline companies legally operating in this market. The initiators of the upcoming event was organized by the Fund for the promotion of agriculture – the organization focusing on issues of agricultural aviation in the country, and Senator Sergey Mitin. 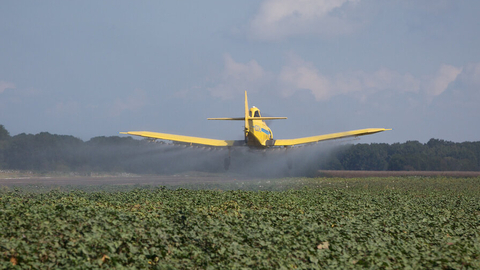 Agricultural aviation is a powerful means of intensifying agricultural production, and its widespread use can provide a yield increase of 3.5 - 4.5% in the whole country. For the first time in the history of modern Russia the problems of the industry of aviation-chemical works was raised at the 1st all-Russian conference on development of agricultural aviation, held on may 24, 2018 in Moscow.